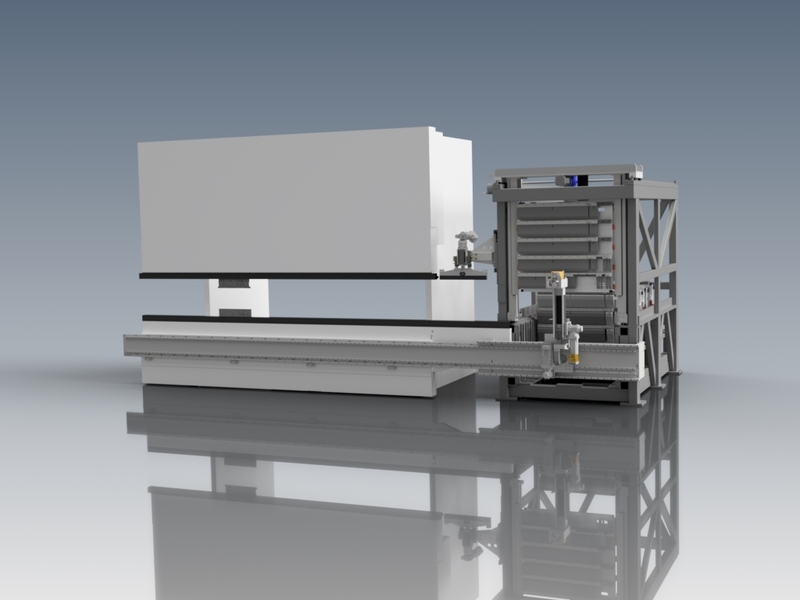 European automatic tool changer system for press brakes, useful for automatic machine set-up. AS16 has been designed to make the bending system more versatile, faster and more reliable, in a situation where the operator no longer runs the machine set up, but uses his time to prepare the new bending batch. AS16 finds its maximum expression in the minimum batches where it is possible to reliably estimate the machine setup, and where the cycle times become important to be competitive on the market. AS16 is versatile for its maximum capacity of tools storage (52 m), the possibility of using both Promecam tools and Wila Style becomes unique in its field. The user interface has been studied in a intuitive and user-friendly, it is possible to perform the programming of the piece both on the machine and in the office.